Looking for the perfect Easter gifts for your friends and family? We are going to give you a roundup of some of the best gifts for you to purchase this year. 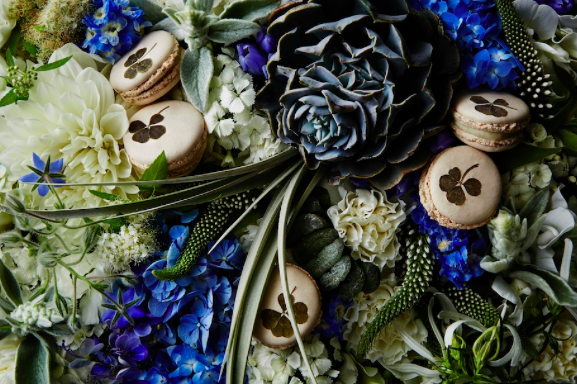 Pierre Hermé has created his very own Easter collection which will be available from 10th March – 6th April. 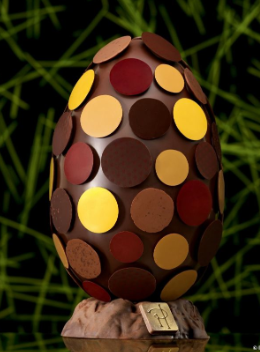 As part of this collection he has created limited edition L’Oeuf Galets, milk and dark chocolate eggs enrobed with Praline Noisette and Chocolate Easter rabbits garnished with small Easter eggs. They look incredible and I’m sure they will taste even better. 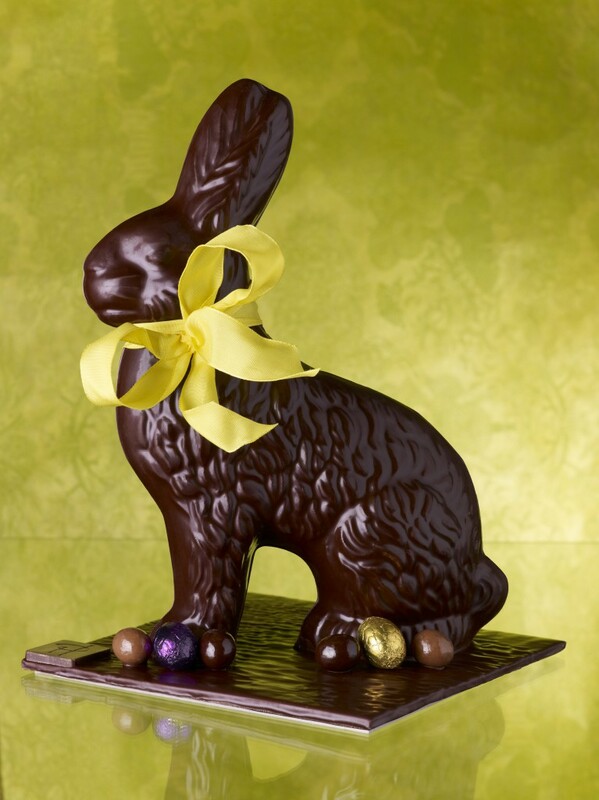 Also included in his mouthwatering collection are his Lapin De Paques which are garnished with small Intense, Infiniment Praliné Noisette, Mathilda, Corso and Sensation Easter eggs, and dark chocolate and milk chocolate Croquants Nougatine Infiniment Praliné Noisette hazelnut praliné and dark chocolate filled. Have a look on his site for more options. We are looking forward to April’s flavour as well which is Jardin Des Prés – Meadowsweet & Honey from the Maquis Shrubland Region of Corsica. 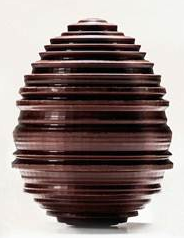 This month Alain Ducasse will release his exclusive easter egg collection at the Bulgari Hotel & residences. He uses his own chocolate, La Manufacture de Chocolat, to create layered design which has been inspired by shaping clay on a potter’s wheel. 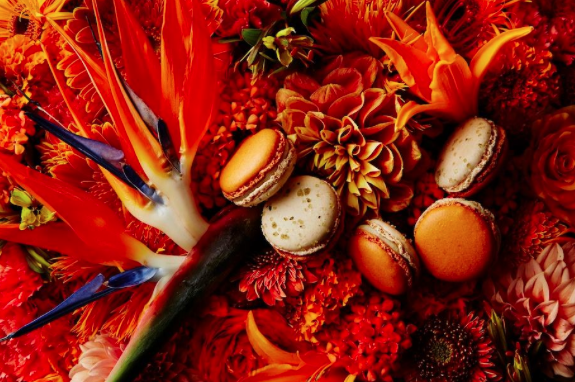 The egg is filled with ‘fritures’, little chocolates and pralines shaped as fish, a traditional symbol of Easter in France. Next up is an interesting Japanese design from Nobu London. 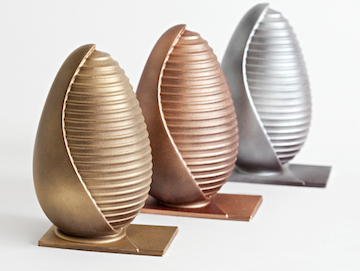 These eggs will be fair trade, metallic and inspired by ‘a Zen take on the traditional easter egg’. They are available in gold, bronze and silver and can be bought from the restaurant from the 15th of March – so NOW. 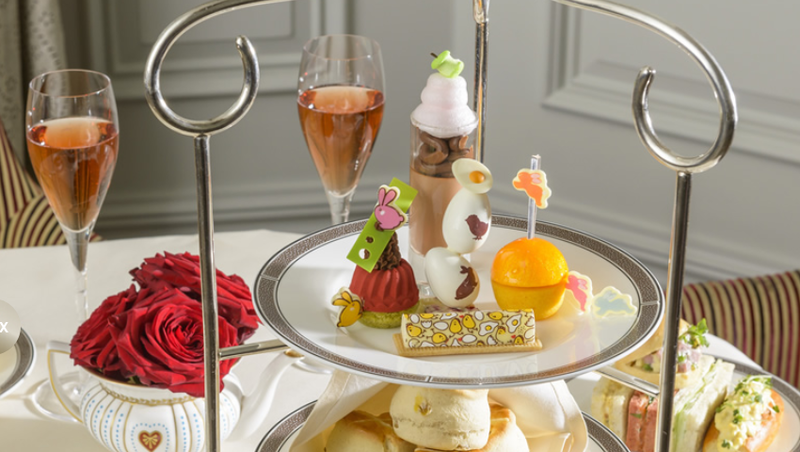 Finally, we have a special afternoon tea at Palm Court inside The Langham which has been created purely for the easter holiday. It costs £59 per person including a glass of Champagne or a non-alcoholic cocktail. The easter elements of the menu include: Bunny See-saw – 64% chocolate, raspberry and lightly roasted pistachio financier, Chicken or the egg – english rose and lychee log, The rabbit’s Warren – milk chocolate chantilly, Sunny Side up – Chocolate Easter Egg and Bunny Show Jumping – white chocolate mousse, tropical jelly and almond financier.